Save Your Shopping to Save the Most on Small Business Saturday! We all want to get the best deals on our holiday shopping — but that doesn’t mean you have to get sucked into the Black Friday trap! Skip the insanity, and support family-owned small businesses this Small Business Saturday, November 24. 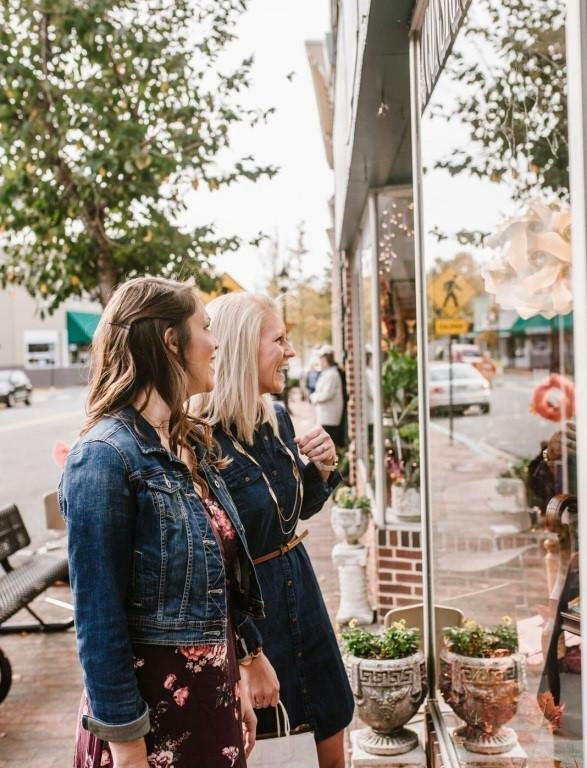 In Delaware’s Quaint Villages, these unique shops offer one-of-a-kind treasures and gifts that your friends and family will love — and with tax-free shopping, you’ll still get a great deal! Visit this small town with a creative spirit for the perfect piece for the art lovers on your list! Head to the heart of downtown Milford for the 8th Annual Shop Local celebration. Visit the Mispillion Art League gallery and Gallery 37: A Destination for Artful Living (offering free gift wrapping one day only!) for authentic works of art. Vintage 614, Milford Antiques & Friends and Country Expressions are home to perfect home décor, art and antique finds as well. Grab a snack at locally owned bakery My Sister’s Fault, and swing by easySpeak Spirits for a batch-made spirit for your craft beverage lovers. Got kiddos in tow? Make sure to be ready for Santa! He’s taking time out of his busy schedule to visit Milford. Santa will arrive in downtown Milford at 11 a.m. on a firetruck. It’s the perfect way to kick off the holiday season. Downtown Dover is hosting the annual Small Business Saturday and Marketplace which will feature side walk sales, a craft and vendor fair, food trucks, activities for kids and live entertainment! Support Dover’s small business community, including boutiques like BluVintage and Bel Boutique, gift shops like the Delaware Store and Suds Bar Soap, and more. Enjoy lunch while you shop at one of Dover’s many downtown restaurants, such as the Governor's Café or Frazier's Restaurant. For the equestrian lovers in your family, Harrington is the perfect place to shop this Small Business Saturday. Visit Chick’s Saddlery for discounted tack, gear, apparel and more, as well as a variety of horse-themed gifts for everyone in the family. Check out OMG Collage and The Clutter Box for vintage finds and antiques, and be sure to stop by Byler’s Harrington location as well for Amish-crafted goods, unique gifts and more. Grab lunch at Rudy’s Family Diner, a cornerstone in the Harrington community. Stock up on unique Christmas cards at Smyrna Cards and Gifts. With over 1,000 greeting card choices, they will make sure you never send out the same holiday cards as anyone else! They also carry a wide selection of gifts. Looking for that perfect something for your eclectic friend or aspiring interior designer? Visit Royal Treatments and discover their expansive collection of home décor accents and beautiful gifts. After loading up your sleigh with holiday gifts that support small businesses, enjoy a craft beer at Blue Earl Brewing, Smyrna’s local brewery, or grab something to eat at Maverick BBQ. Remember, the holidays are a time to give — not only to your loved ones, but to give back to the small businesses that make up your community. And with all your shopping tax-free in Delaware’s Quaint Villages, you’re still sure to save! 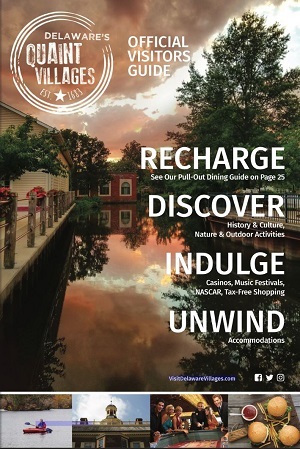 Check out the full listing of boutiques, galleries, gift shops and more in Delaware’s Quaint Villages.